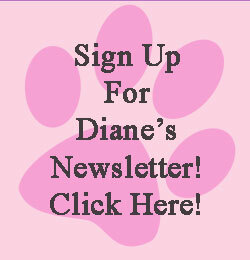 The most common type of arthritis for dogs and horses is osteoarthritis. It’s a degenerative joint disease characterized by the wearing a way of cartilage. It can be the result of impact trauma, injury, over-use, infection, poor conformation, hereditary issues, mineral or dietary deficiencies, and aging. Horses and dogs involved in competitive activities are more apt to develop arthritis at an earlier age due to the increased stress on their joints. Being aware of common causes combined with early detection of arthritis affords you the opportunity to slow the progression of the disease. As osteoarthritis progresses, the horse or dog will most likely exhibit an increasing degree of lameness and escalating pain. The points shown in the chart below can benefit and bring a measure of relief to your animal. 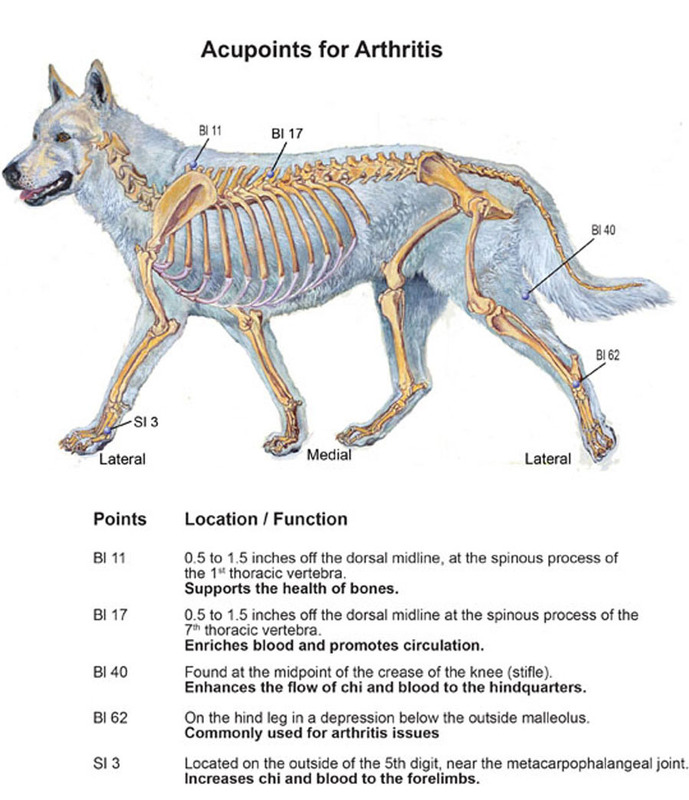 To find out more about this condition and Acupresse for Canines, visit our website at animalacupressure.com or purchase the book Acu-Dog: A Guide to Canine Acupressure.